Rusted Windmill ...Relax, Play and Getaway in Ellicottville, NY! Escape the stress and routines from everyday life! There are plenty of activities throughout the year; including festivals, live music, skiing, hiking, mountain biking, fine dining, spas and golf. Take a trip and find the magic of Ellicottville. The Seneca Iroquois National Museum is a wonderful museum located in Salamanca, New York. The museum has standing exhibits, special exhibit and cultural and educational programs. They are offering some fabulous programs, exhibits and events for the Summer of 2016! 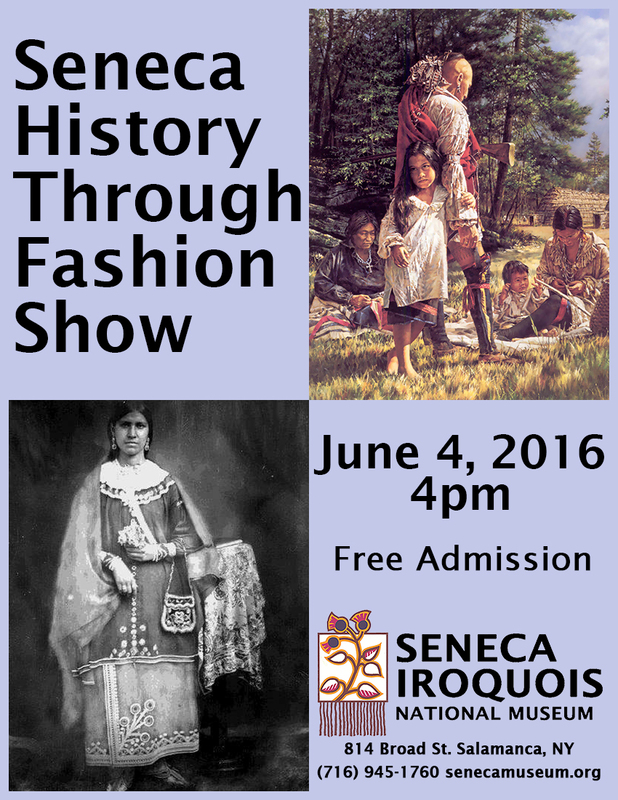 On June 4, 2016 at 4:00 pm, the Seneca Iroquois National Museum is hosting a summer exhibit with free admission. 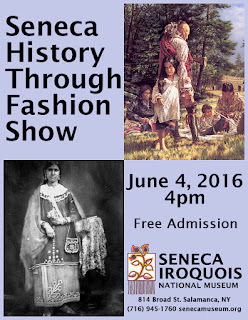 The exhibit is called "The Seneca History Through Fashion Show". Also that weekend is the Smoke Dance Competitions, which is an alcohol and drug free event. The competition starts at 1:00 PM and dancers registration begins at 11:00 AM. Both are excellent programs at the museum to share and learn about the Seneca history and culture. 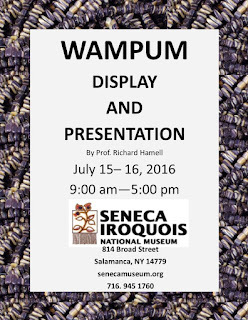 On July 15 and 16, 2016 from 9:00 AM to 5:00 PM, professor Richard Hammell is hosting a display and presentation entitled Wampum. Professor Richard Hammell is a retired author and lecturer and is an associate professor emeritus on Monroe Community College’s Department of Geosciences. 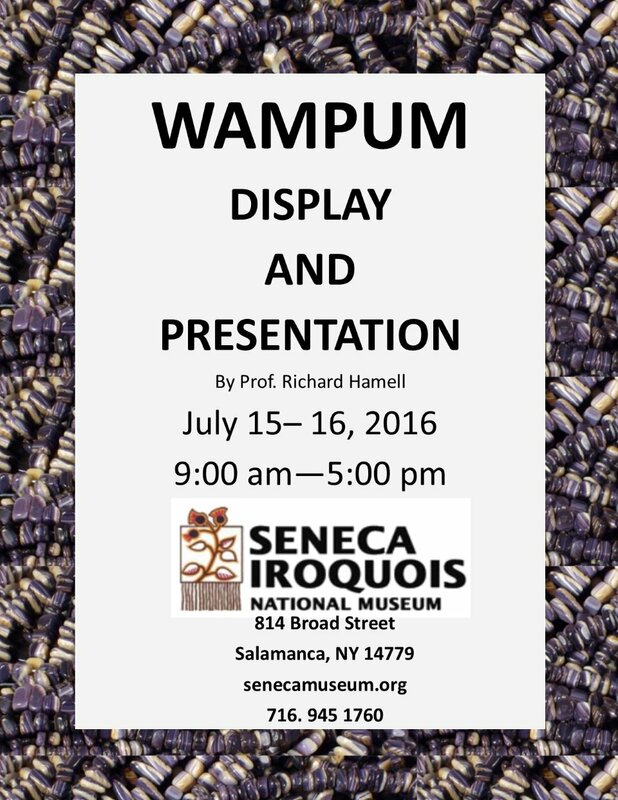 He is part one of the associate members of the museum and has hosted prior presentations on wampum. In 2013, he co-hosted an similar program with Jake Edwards, where they displayed and discussed three wampum belts and the meaning behind many wampum belts throughout history, according to Tony Astran of the Seneca Allegany Casinos. The museum has special exhibits, standing exhibits as well as educational tours and student programs. There is a 60 minute Gallery Tour by a Museum Interpreter who discusses topics that include Onöndowa'ga:' history, clothing, culture, tools, living quarters, storytelling and more. There are activities for younger children as well as group tours. The museum acting director, David L. George-Shongo, Jr. and seven other staff members and associate members provide wonderful exhibits, programs and events at the museum. The gift store is located in the museum as well as select items can be purchased on-line. The gift shop has spectacular gifts created by local artist as well as other merchandise including DVDs, CD, books, note cards and calendar. The gift store often has featured artist items the store and on line, which highlights the artist's talents and provides a feature story that allows you to know more about the artist. This is Where We Walked, the Log Cabin and Long House Room exhibits are some of the permanent exhibits that museum has to offer, The exhibits fetcher prints, materials, structural, items and models. The museum is usually open Tuesday through Saturday from 9:00 am to 5:00 pm. Their website post any changes to the schedule as well as special exhibits. Do you need LODGING during your visit to Ellicottville? Stay at Wildflower unit 55! 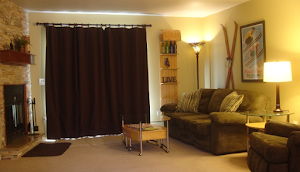 Wildflower unit 55 is a Studio townhome vacation rental located 1/4 mile from Holiday Valley Resort, 1 1/4 mile from Holimont Ski Resort and 1 mile from downtown Ellicottville. The unit can accomodate up to 4 people and is central to all of the activities! For more INFORMATION or to make a RESERVATION, Click the photo above! Save money per night! See Vacation Rental Discounts! Weekends a shuttle is available from Ellicottville to the Seneca Allegany Casino! It will stop at Wildflower at the 1/2 hour. Free Ellicottville NY Gift Cards! There are 4 great 2015 / 2016 promotion codes ranging from $25 to $75 for FREE Gift Cards or RWP Credit!!! Click the card to check out the RWP Discount Codes page or click the card to visit the www.rustedwindmill.com for more details on renting Wildflower unit 55! Stay up to date and subscribe to the Blog Headlines! 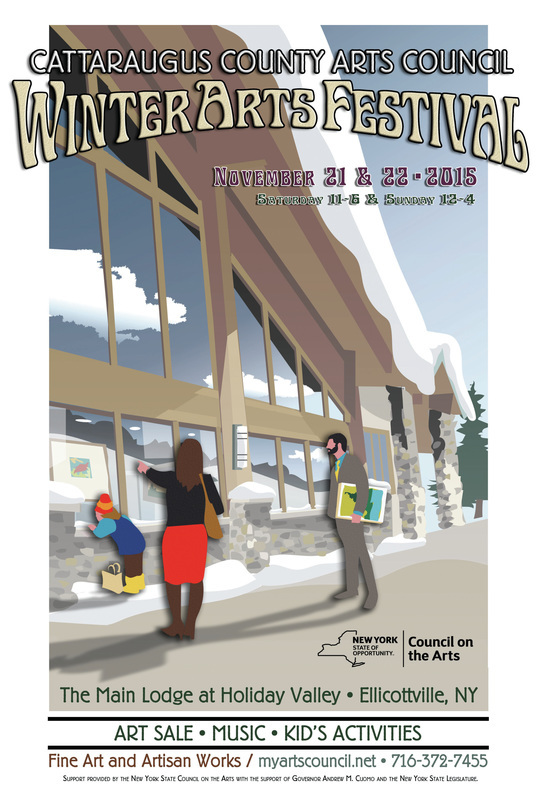 Seneca Allegany Event Center - Upcoming Events! CHECK OUT THE BLOG TABS FOR DETAILED INFORMATION ON THESE GREAT ACTIVITIES AND EVENTS! WINTER ACTIVITES: Three great ski resorts! Holiday Valley Resort, HoliMont Ski Resort and Kissing Bridge Ski Resort Enjoy - Downhill snow skiing, snow boarding, cross-country snow skiing, snowshoeing and snowmobile riding SUMMER ACTIVITES: There are three great 18-hole golf courses Double Black Diamond at Holiday Vally Resort, Elkdale Country Club and Concord Crest Golf course. There are three 9-hole golf courses St. Bonaventure University golf course, Ischua Valley Country Club and Birch Run Country Club Enjoy - Mountain biking, hiking, swimming, festivals, Griffis Sculpture Park, the Sky High Adventure park, the Red House and Quaker Run ares of the NY State Parks and more! Check out the 3 pool complex at Holiday Valley Resort! YEAR ROUND ACTIVITIES: There are many great reastaurants to dine at any time of day. You won't find a chain store in Ellicottville. There are many unicque specialty stores that line the 19th century buildings in downtown Ellicottville. Relax at a spa. Both the Falling Waters Spa at Holiday Valley Resort and the Ellicottville Oasis Spa have fantastic packages and treatments. LIVE MUSIC: There is plenty of live music in Ellicottville, NY. Throughout the week local bands play at the Gin Mill, Balloon's Restaurant, The Ellicottville Brewing Company and more. In July and August, the Gazebo Series has free live music at the towh Gazebo on Thursday nights. In July, the Summer Festvial of the Arts has headline bands (2016 TO Be Determined), and a dozen other bands performing throughout the weekend. Also in July is the Ellicottville Jazz Weekend, with local Jazz artists performing on the streets, restaurants, pubs and other locations. In February, the Blues Festival has local blues artist in the town pubs. There are also headline acts that perform up the road at the Seneca Allegany Casino. Come on out for a visit and hear some great live music! Send us your trail stories to post on the BLOG at trailbazer@ rustedwindmill.com! How much snow will Holiday Valley have in 2016? Who makes the best PIZZA in Ellicottville? What Event at Griffis Sculpture Park are you going to check out? What are your favorite golf courses? What do you like about Ellicottville NY? Take a Scenic Helicopter Ride! Fall is a great time to see Cattaragus County NY from the air! H&L Enterprises is at Pumpkinville most weekends, at Fall Festival and is available for custom tours. Click on the picture to visit their site! Check out the mountain coaster, zip lines and the adventure course in the trees! Click the SKY HIGH Logo for MORE INFORMATION! Reservations are required for the aerial adventure park. The Mountain Coaster is OPEN year round! Doors open 10AM. Party is 3 to 7:00 PM. Bikes on display, bands, learn to ride and more! February 14, 2016 9:30 AM - The Annual Cross Country Ski Race at Allegany State Park. Includes the race, post-race part, lunch, door prizes and awards. March 3, 2016 8 AM to 5 PM - Pre-registration for $60 include ski pass, breakfast, lunch, raffle, shirt and more! Call 716 372-3620. This 3 day bluegrass music festival is loaded with workshops and concerts. 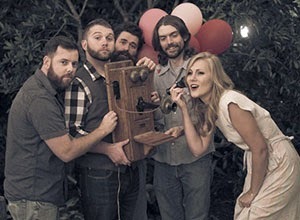 Bands include Frank Solivan and Dirty Kitchen, Nora Jane Struthers and the Party Line and more. Tickets are available per event or the entire festival. This is a 3.5 mile, 5.4 mile and kids run. There will be obsticales and pleanty of cross country trails. Click the photo for registration information and details! Allegany State Park turns into cycling park during the annual Raccoon Rally featuring our annual Road Race, Trials Competition and Blockbuser Cross Country and Kids Race. Click the logo to regester or for more information. The rodeo is at the Sommerville Valley Stables, just a few minutes from the Village of Ellicottville. It is one of the largest IPRA / APRA sanctioned rodeo’s in the northeast, with over 350 rodeo athletes. There are 7 standard rodeo events, junior bull riding, contract acts and clown. You are close to the action; and every seat is a great seat! A Jazz and Blues weekend in Ellicottville is a fantasic experience, a variety of Jazz and Blues performance areas in restaurants, bars & nightclubs, street-side, and in the Village Square. Plan a trip for some great Jazz and Blues! Sample the best foods that the fine restaurants of Ellicottville have to offer. Foods range from appetizers, to entrees to deserts and cost between $1 and $4. There is great entertainment and this is the best way to sample the restaurants. See folk artists and live, local, music performances sponsored by the Rotary Club. This FREE family event is in downtown Ellicottville at the Gazebo, with lots to see including a small village of tiny Character Cottages. October 8 and 9, 2016. The Oktoberfest is the larget fetival with carnival rides, tent sales, art and craft shows, live music and more. The Festival is at the Holiday Valley Lodge where you can sample 100 beers from 30 micro breweries with live music and more. Lodging packages are available and free transpertation from Wildflower to the event. Get more value with a Wildflower 55 rental for FREE! Get the details on the Vacation Rental Discouts page! Stay at our Wildflower 55 location in Ellicottville, NY. The comfortable accomodations are close to the resorts, spas, shopping, dining and the Ellicottville nightlife! There are great festivals and events year round and the Allegany NY State Park and Allegheny National Forest are short drives. Plan a trip and look for our promotion codes for FREE Ellicottville, NY Gift Cards to save even more! Rusted Windmill Properties llc. - Vacation Rentals Ellicottville, New York 716-320-0201. Picture Window theme. Powered by Blogger.